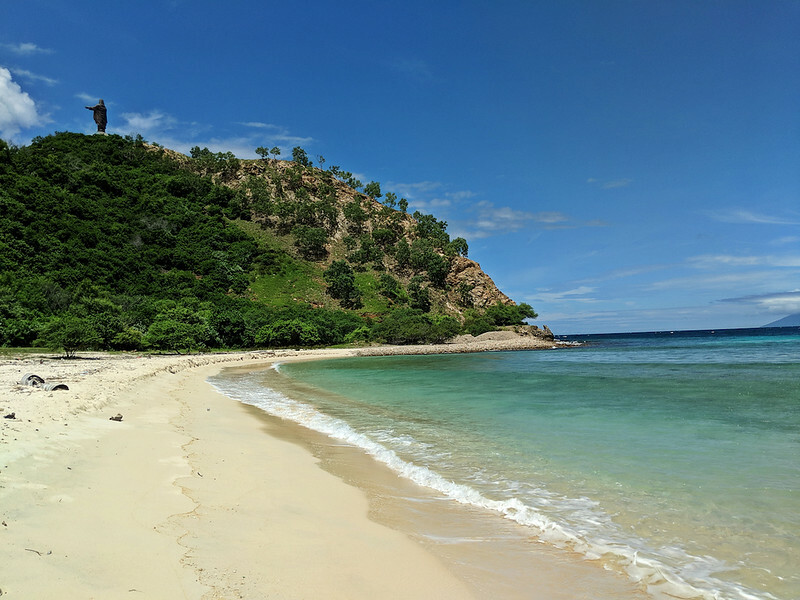 If you’re thinking about visiting East Timor, this post is your quick travel guide to Dili and its surroundings. My goal is to provide the main information you need to start planning your trip, and all of the details below are based on my own recent travels to this country. Of course, once you have a read, if you still have any questions, just let me know! Once you step off the plane, you’ll simply walk along the above walkway to the tiny Arrivals Hall. Before you enter the building though, you should head to the small “Visa on Arrival” window on your left. If you’re from one of the countries above that doesn’t need a visa, you don’t need to visit this window. For all other nationalities, you need to go to the window and pay $30 USD for the visa. Once you pay, you’ll get a visa sticker that you take with you to immigration right inside the building. Before standing in the immigration line, be sure to fill out an Arrival Card as they do not provide these on the plane. Once through immigration, there’s a sole luggage carousel. After collecting your luggage, you’ll head through a very casual customs inspection (although you will need to fill out a quick customs form here in order to pass through). And then you hand the form over, walk through the door and just like that you’re outside, where drivers are waiting for incoming passengers and where you can find transportation if needed. *Most hotels offer free airport pickup and drop-off or they can arrange it for a fee. Otherwise, from what I was told, it should cost around $10 USD for the 10 minute taxi ride from the airport to any hotel in central Dili. The main currency in East Timor is US dollars and that is what’s used everywhere. When paying for small items, you might receive small change in the form of Timorese centavos. However, 1 centavo is equivalent to 1 US cent so it’s basically the same as using US coins. ATMs – There are ATMs all around Dili and I had no problem taking money out of several different ones. With that said, the ANZ Bank ATMs charge a $7 USD fee (at least for US card holders) so you might want to use the other banks’ ATMs. None of the others charged me a fee. 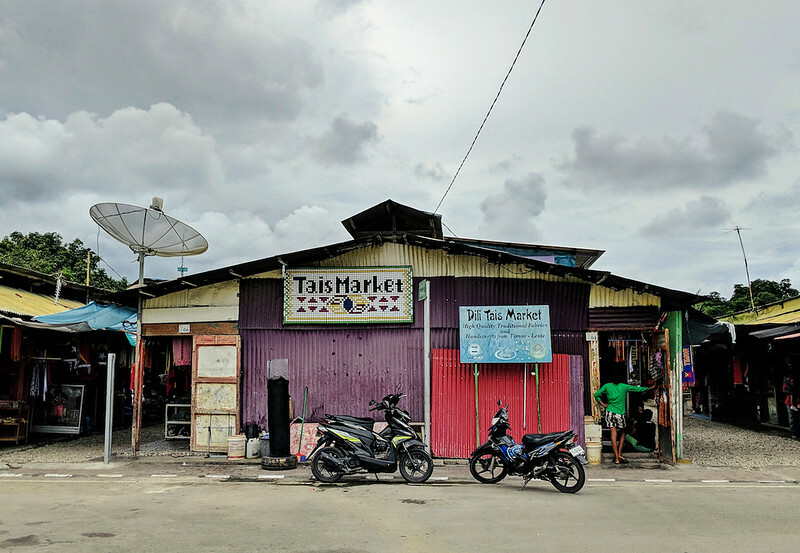 Exchanging cash – Apart from hotels, which offered lower exchange rates, I didn’t see any other money exchange offices around Dili. However, I’m sure you could go into a bank to exchange Euros, AUD, GBP and so on. If you need to be reliably connected to the internet during your trip, I highly recommend getting a SIM card. As my girlfriend and I both work online, we need a relatively good connection and the Wifi we experienced in our hotel and in a couple of cafes was poor at best. Often, it was not usable at all. I did a decent amount of research before choosing a place to stay. In the end, I went with the Discovery Inn. For $70 USD per night, we had a large, comfortable room, with a slightly rundown bathroom, located right off a small courtyard. The location was excellent, only a 5 minute walk from the water and 10 minute walk from the city center. There were also plenty of restaurants and a large supermarket on the same block. The staff were incredibly welcoming and helpful and the room came with a great breakfast and free airport pickup and drop-off. Of course, there are other options in town too, not a ton, but a good handful. You can find a couple of backpacker hostels, decently rated mid-range hotels and a luxury property or two. *With this link above you’ll also save about $25 off any hotel booking. Overall, for what you get, the accommodation prices are definitely high. 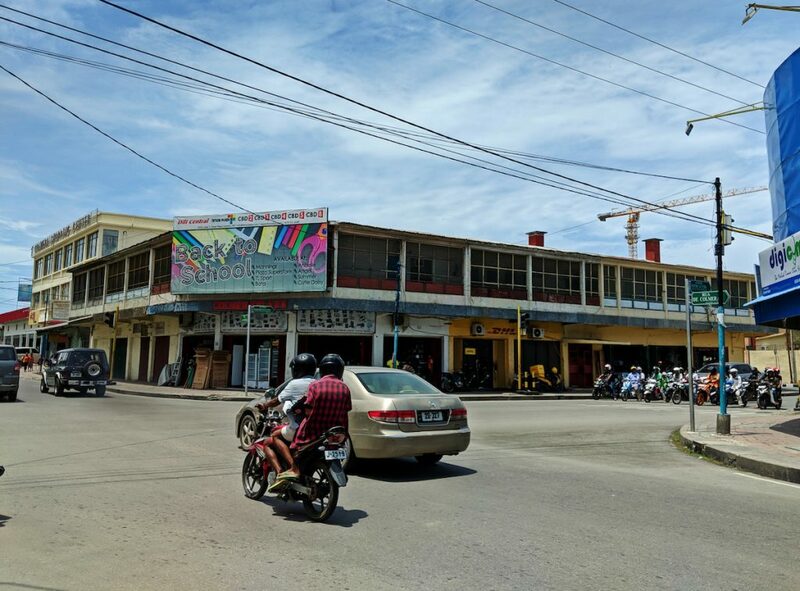 However, that’s due to many reasons, such as the need to import everything, the expenses involved with offering constant electricity and maintaining the building and also the simple fact that most visitors to East Timor are business people whose companies are paying for the rooms. 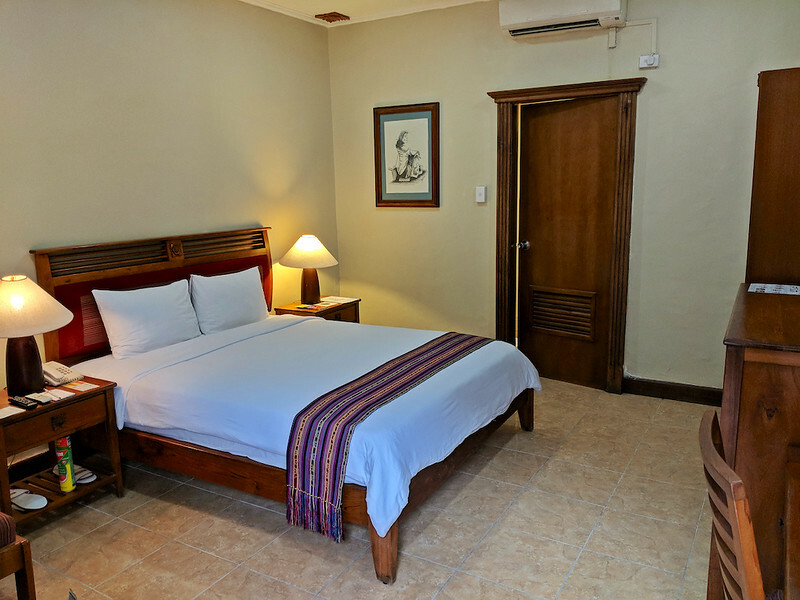 We flew in from Bali where the same room I had in Dili would probably cost $15 USD per night over there! But that’s how it goes and again, there are definitely reasons why the prices are higher. When it comes to eating, there are a decent amount of options in the city. You’ll find small local eateries, Portuguese-inspired restaurants, Italian, Indian, Chinese, Vietnamese, Thai, fast food and more. We didn’t venture too far from our hotel at night, mostly because we were tired after long days out and about and there really weren’t many taxis on the road in the evenings. So we generally stayed in our neighborhood to eat dinner. Diya – This restaurant is attached to the Discovery Inn Hotel and while it was a bit pricey, there were some reasonably-priced items on the menu, too. The food is more western style but was very good. Castaway – A friend of a friend that had lived in Dili a while back told me about this place and we ended up there for lunch one day. It has a huge menu with all kinds of food and everything we ate, from soup to homemade veg burgers to salads was excellent, and very well priced. Great Wall – This cozy Chinese restaurant was a great find. Excellent food, huge portions and decent prices. One dish would be plenty for two people. Food can naturally be a big part of travel so I would recommend doing a little research about specific places in order to figure out which eateries might be best for you. Or simply wander around and see what you find! 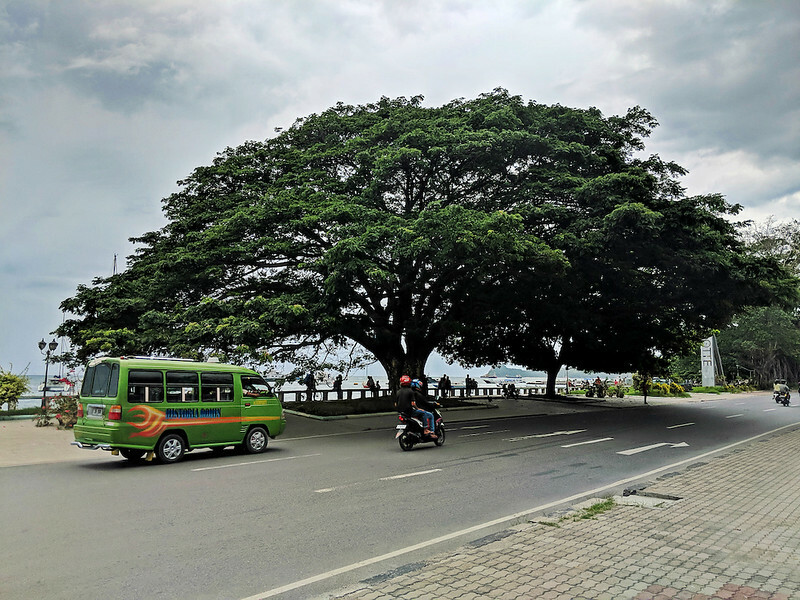 Walking – Getting around Dili and its surroundings was actually quite easy. First, within the city center, you can pretty much walk anywhere, if you’re there when it’s not 40C (100F) outside! There are sidewalks almost everywhere, very little traffic on the roads and you’ll end up seeing a lot more if you’re exploring by foot. And you’ll pass many people in the streets of course, most of whom will be super friendly and be up for a quick chat. Taxi – When you need a taxi though, all you do is walk to the street and wait for one to come by. Stick out your hand and that’s it. I would always tell the driver where I wanted to go before getting in and in the beginning, I asked for the price as well. Every single time, the taxi driver quoted me exactly what the hotel staff told me is the normal fare. For a short trip, it was $2 USD and for a longer trip across the city, $3 USD. When the driver didn’t know our destination, we settled on a price based on some other landmark that was close by. We never had any problems with taxis. 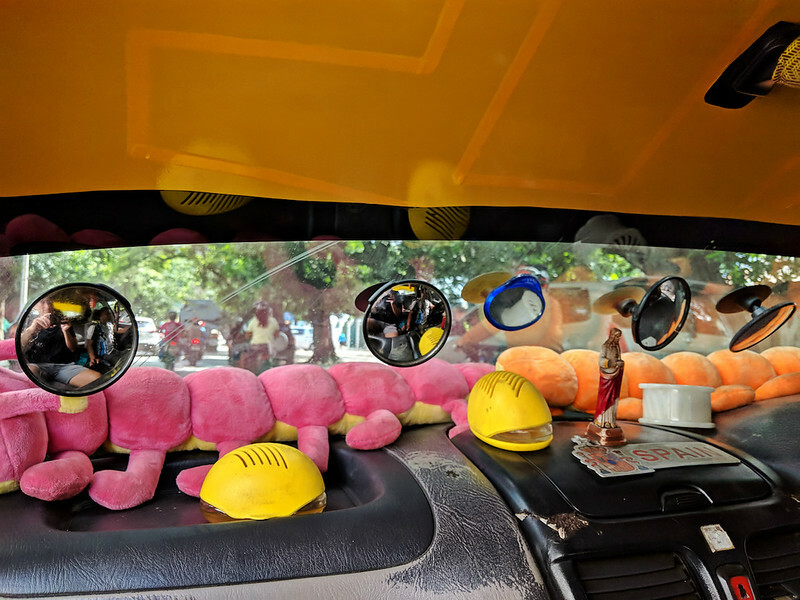 They are actually quite fascinating in Dili as most of them have the front windshields almost completely covered up. Yes, they put on some kind of sticker to block out the sun but the problem is that the sticker that covers 80% of the windshield is not transparent, so it leaves only a tiny section of the window for the driver to look through. And then they stuff all kinds of circular mirrors, stuffed animals and other random things up there as well, which blocks the view even more. Sometimes, the driver didn’t really understand where we wanted to go and didn’t even know the street names (including the main avenues) but they’re all friendly enough and dedicated to figuring it out, which we always did. I would often turn on my Google maps and simply direct the driver as we drove. Microlets – Within Dili and its surroundings, you also have the option of taking a microlet. These are funky, shared minivans that are typically owner-operator and run along certain routes. We took one from Cristo Rei back to an intersection near our hotel towards the end of our stay but I wish we had taken these starting on the first day! The only thing is that you need to know which van to take but once you see your van (the route number is in the window or on the side somewhere), you flag it down and get in. When you want to get off, just yell out to the driver or push the buzzer, pay your 25 centavos on the way out and you’re good to go. 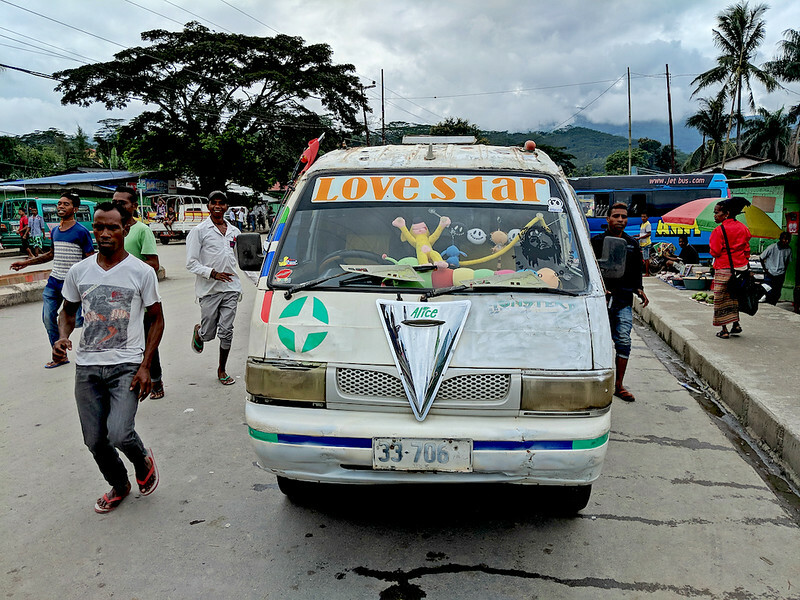 Most vans are very creatively decorated and named and the drivers have their favorite tunes blasting out of the speakers, definitely making this a cultural experience worth trying out. And as more people get in to the van, it’s a perfect opportunity to interact with more Timorese that will definitely be surprised by your presence inside! Rental Car – Apparently you can also rent a car or a car with driver but from what we heard, it’s quite pricey starting at around $100 USD per day. Also, while the roads in the city were quite good, many of the roads outside the city, especially up in the mountains, are not so good and require a 4WD vehicle, even if it looks like a main road on the map. 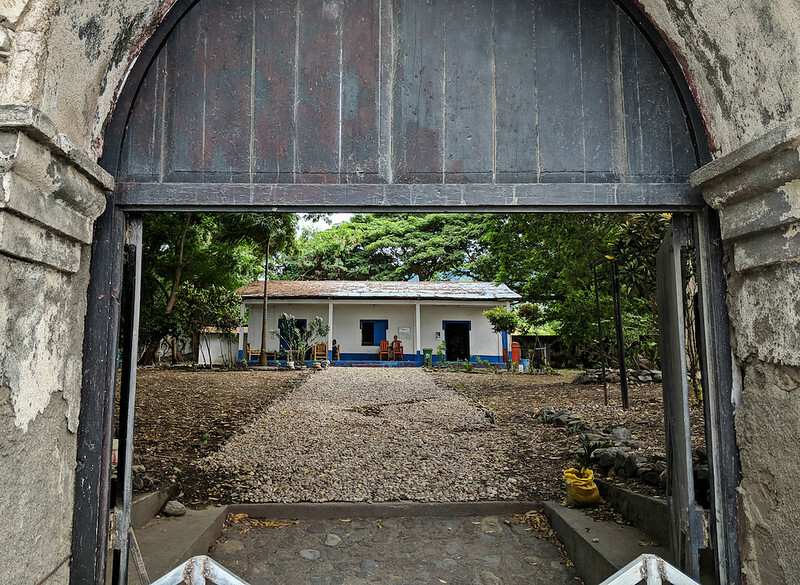 Timorese Resistance Archive and Museum – This new structure is a must-visit as the exhibits inside detail the difficult history of the island and its people. We tried to visit on Saturday and even though it said it was open, it was actually closed. It seems to only be open Tuesday to Friday. Entrance was $2 USD. 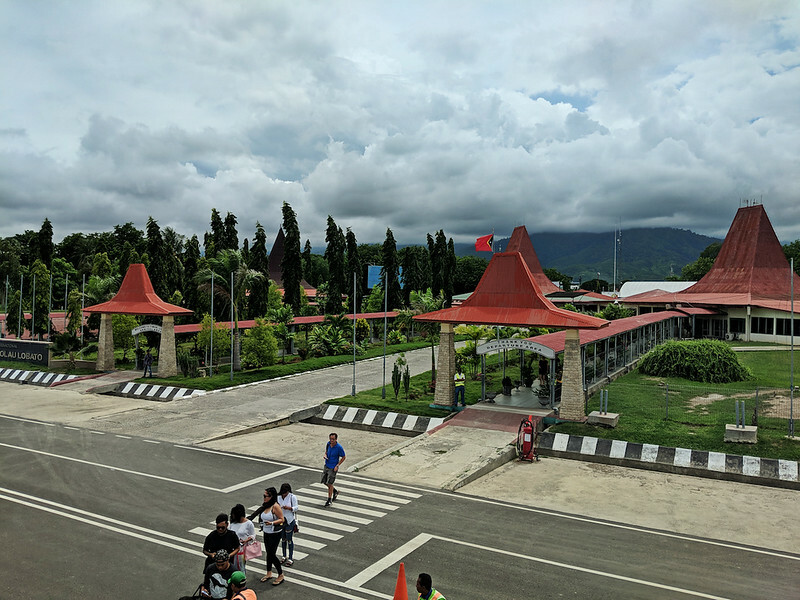 Santa Cruz Cemetery – The site of a 1991 massacre, when Indonesian troops open fired on a peaceful memorial service, it’s another important place to visit to truly understand the history of this country. 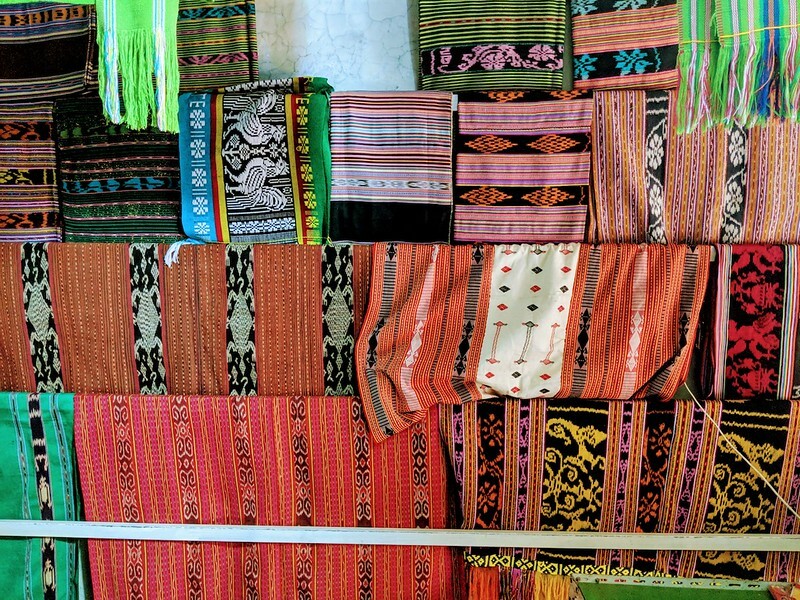 Tais Market – All of the stalls here sell Tais, which is cloth made from an East Timorese traditional method of weaving. It’s well worth a visit and even though this market in the heart of the city center appears to be set up for tourists, during the hour we spent here, we were the only people walking around the two dozen stalls. The shopkeepers were friendly, the products were good quality and colorful and the prices were extremely cheap. We ended up buying two small-sized pieces of work and one larger piece (about the size of a coffee table) for a total of $25 USD. Taibesi Market – This is the main local market and it’s located about a 10-15 minute drive out of town, at the foot of the mountains. It’s quite large and has everything you’d expect from such a market. And while there weren’t many shoppers there at all (it was basically empty), we had a great time interacting with the various vendors and learning about what they were selling. After meeting one very kind fruit seller, we decided to buy a few of the tasty red bananas he was offering. I handed over $1.00 and he just kept filling up the bag until we had 15 of those bananas. I highly recommend wandering around the market and talking to as many people there as you can! Sunset walks – As the sun begins to go down, it’s great to head down to the water and walk along the ‘boardwalk’ or the beach in front of the Novo Turismo Resort and Spa. There’s a few vendors out there selling drinks and coconuts, a few NGO workers jogging around and plenty of benches or stretches of sand to watch the sunset over the water. Cristo Rei – A towering statue of Jesus standing on a globe, it was built under Indonesian rule in an attempt to persuade the Timorese to abandon their desire for independence (it failed). Located at the edge of a hilly piece of land that juts out into the sea, there’s a 500 step climb from the parking lot up to the statue. I will say, the views from the statue looking back down towards the coast is beyond spectacular, making the climb up more than worthwhile. Jesus Backside Beach – I have no idea what the official name of this beach is but it often is referred to as Jesus Backside Beach because it is the beach located behind the Jesus statue. When you walk back down from the statue towards the parking lot, about half way down you’ll find some steps leading off to the left. Take those steps and in a couple of minutes you’ll be on a beautiful white sand beach! The beach was very empty when we were there, with maybe 5 or 6 locals hanging out, too. There are no facilities, shops or food…it’s just a relatively untouched, super picturesque beach to enjoy, with warm turquoise water and some goats wandering around the sand as well. There’s another beach opposite the parking lot of the Cristo Rei statue but that one is right next to the road and didn’t look nearly as impressive as the huge stretch of white sand on the other side. Getting out of Dili is also easy. There are local buses and also the possibility of hiring a guide/driver for a day trip, or longer. Since we had limited time, we hired a local guide, Julio, through Timor Adventures and he was excellent. He really gave us a great deal of insight into every aspect of life in East Timor and was ready to answer every question we had with statistics, personal stories and endless details about the history, politics and social situation of the country. 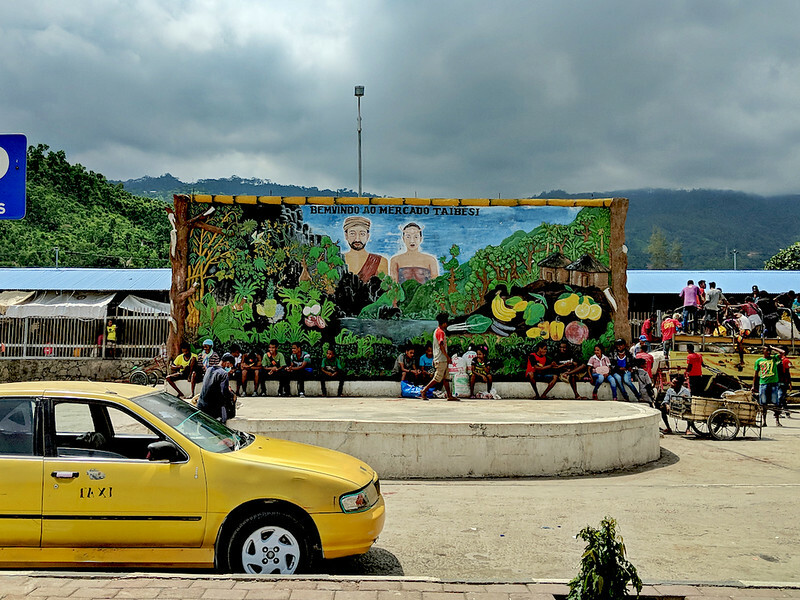 Gleno – Julio took us out into the mountains, through the coffee plantations and over to the very quiet town of Gleno. We had a chance to hang out at the Gleno market where, once again, we met super friendly people everywhere we turned. There were no other foreigners here and it seemed like anyone we made eye contact with gave us a big smile and wanted to interact in some way. I could have spent a couple of days in this town, just for the interactions alone. Liquica – Coming back out of the mountains, we drove down the coast to the small town of Liquica where we had lunch along the beach and then walked along the sand (again, we were the only people around, with nobody else on this long stretch of beach). Maubara – From Liquica we continued further down the coast to Maubara, home of an old Portuguese fort. 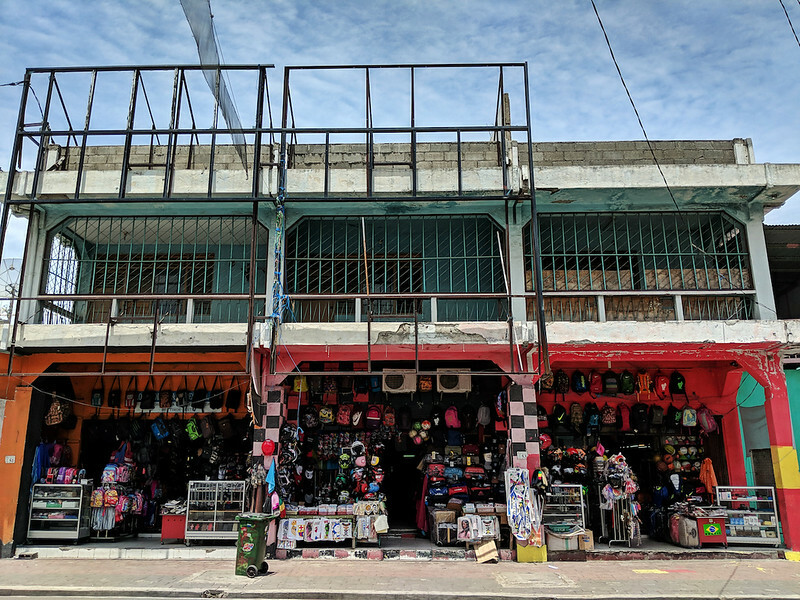 And even though it’s just the outer walls that are still standing, there’s a small little shop and restaurant inside those walls that is run by a local women’s cooperative. It’s a good place for a coffee, meal or to purchase some hand-made local items at, again, very inexpensive prices. The town also has a small market across from the fort and another stretch of beach without a soul on it. While the towns themselves might not seem like the most fascinating places on Earth, they are all worth visiting nonetheless. 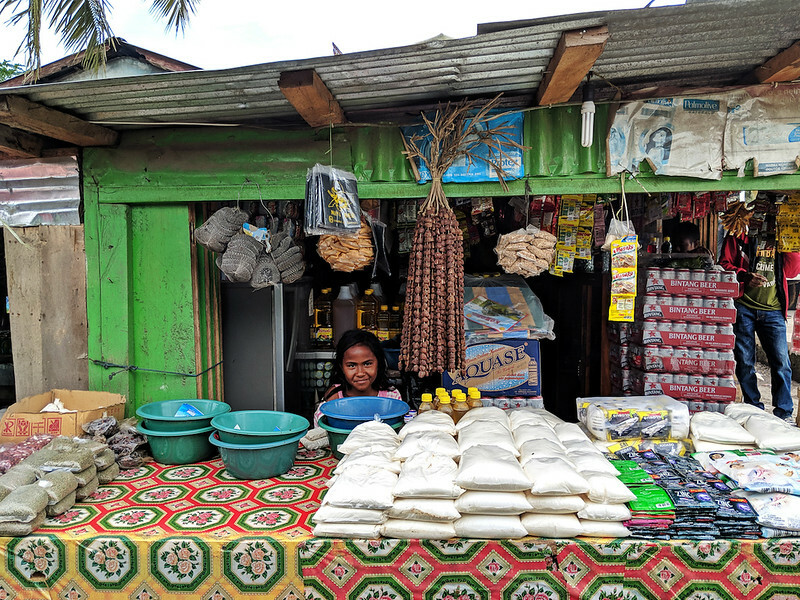 When traveling to East Timor, the experience is all about learning – about the people, the history and the current situation. And the best way to do that is to simply get out there, travel around and try to interact with as many Timorese as you can. All of the people we came across were simply wonderful. Huge smiles, enthusiastic thumbs ups and always a willingness to communicate, despite any language barrier. This is what greeted us every single day, everywhere we went. This is also what made this trip so unique and rewarding. I hope this travel guide to Dili was useful and I wish you a great trip! Any questions? For those familiar with East Timor, any additional information or advice that I can add to this travel guide to Dili? HI! Nice post. I would like to know how many days would I need to visit TL. Is 6 days ok to see Dili and some nice spots around the country? Sure, that would be enough for Dili and some surrounding areas! Thanks for a great informative site! I am planning to visit in TL on my own for 5 days in a few weeks. I have lived in South East Asia (currently in KL) for 12 years and been most places. Is it easy to rent a motorbike (moped) in Dili? I intend to drive over the hills to the South coast and, depending on how bad the roads are, possibly to the Eastern end of TL. I have previously explored Indonesian islands this way (Lombok, Flores etc.) and find it a great way to see the country. Hey Ole – Thanks for commenting and it should be a great trip for you. The only thing is that you’ll need a proper, and very powerful, motorcycle to cross those mountains. We were told that the trip to the south coast takes almost 7-8 hours, despite the relatively small distance, because the roads are in really bad shape in many places. I don’t think a moped would make it at all and you won’t want to be stranded way out in the middle of nowhere. I’m not sure how easy it is to rent a motorcycle over there but I’m sure there’s some place to do it! I have 3 day stay with a mate as an extension on a trip to Bali, could you recommend any operators for an exploration around Dili and surrounding area. Also interested in some snorkelling. I belive the people are very friendly, but whats with them not liking Austalians, or is just the government and corperations? We don’t like them either. We are staying at the NOVO Turisomo. They are great people and can show you all around Dili and the area as well as set you up with snorkeling at some good spots. And the people don’t dislike Australians. I think it’s more about the issues they have with Australian government, businesses and so on and the frustration that there has been so little progress over the years. Our friends have just moved to Dili as missionaries with their girls, and will live there for about 8 years ..they are currently looking for a home . Renting a home is a little expensive because it’s US dollars do you have any guide where to rent ? Hey Emily – Sorry, I have no idea where to look for a place to rent long-term. I just visited for a short stay. 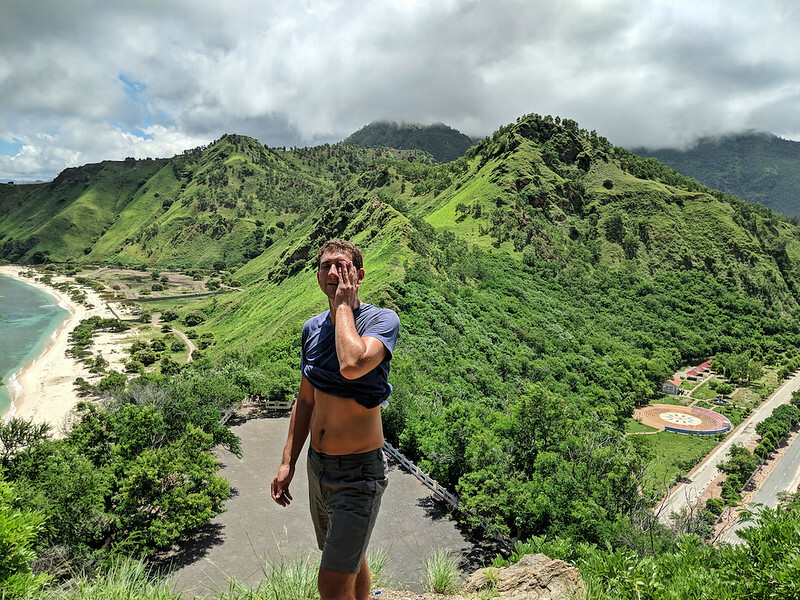 Thanks for the great travel impressions; I am flying to Dili next week for work (but hopefully with a little time to see some of the country’s beauties). Myconcern is whether it is safe as a single female traveler to take taxis in Dili? I heard different things (one female colleague living there until 2015 advising me against it) but other people I spoke to said that it is rather OK now…apparently you even get to choose between glue and yellow 😉 would appreciate your advice! Hey Susanne – Everyone we talked to said it was safe for single females and this includes a foreign contact I had who lived in Dili for several years until 2017. They said it was best to avoid taxis late at night but to be honest, we barely saw any taxis on the streets once the sun went down. Just not enough customers for them to be out there. 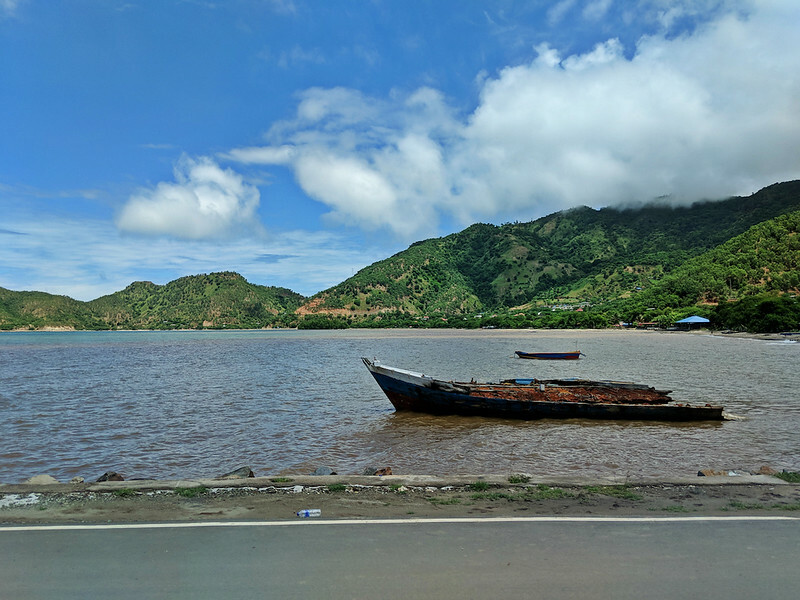 Some of my most vivid memories of Timor-Leste include the fastest luggage carousel ever, very friendly people, Cristo Rei, and some old Portuguese buildings in cities a few hours away from Dili. Despite its troublesome history as an occupied territory of Indonesia for more than 20 years, I found the East Timorese very welcoming to me. A waitress at the restaurant of the hotel my friend and I stayed in spoke to me in Indonesian, to my friend in Portuguese (since he can speak a little bit of the language), and to both of us in English. That was quite fascinating! Hey Bama – I guess when there aren’t many flights arriving and the plane can basically pull up to the terminal building, it doesn’t take long to get the luggage! I’m glad you had a positive experience in the country as well! So great my friend, thank you so much for visiting my beautiful country. Thank you for reading! And yes, it sure is a beautiful country! Hi! I would love to start travelling but im just lost where and how to start! Love reading your posts! Thanks for the comment! The best way to start is to figure out where you really want to go and why you want to go there. Without a purpose, travel is not as fun as it might seem. So once you know exactly what/where/why, you can start to narrow your focus and figure out how to achieve that specific goal! I was so excited when I read you were headed to this little pocket rocket of a country! For its size, it really packs in a lot (we visited back in 2013). For the budget conscious, I remember the Dili Backpackers didn’t look much, but was hosted by a lovely local woman. Most of the hotels and apartments were pricey due to the number of business sorts and NGO folk as you’ve already alluded. 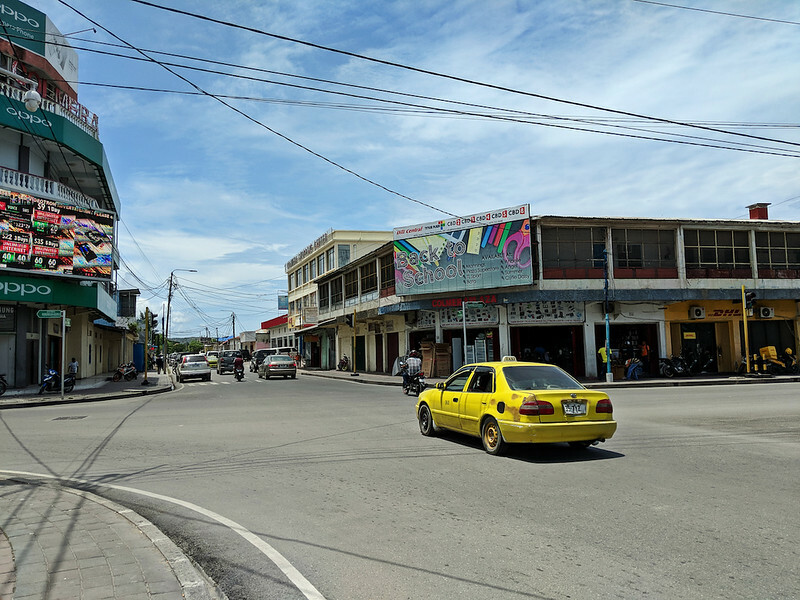 Hey Chris – Thanks for reading and yes, the roads in Dili were pretty good. It would only take a few, albeit somewhat major, projects and improvements in infrastructure to turn this beautiful island into a very real alternative to going to Bali. It will take a while but the potential is there!